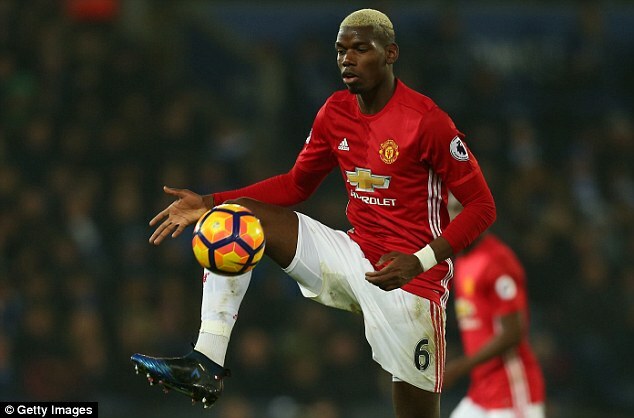 Paul Pogba: United’s midfield enforcer? 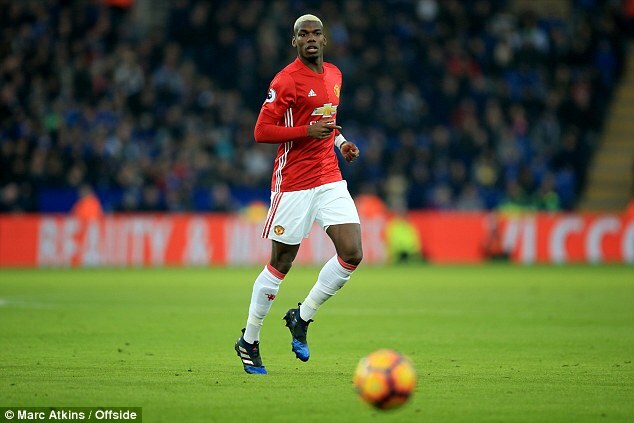 It is precisely six months since Manchester United snapped up Paul Pogba for a record fee, but even the world’s most expensive player knows of the need to stay relevant in an age of rolling news. The 23-year-old Frenchman kept his 14.4million Instagram followers up to date in his latest lavish attire with a picture of him reading the front pages earlier this week. And they say footballers don’t read the papers. 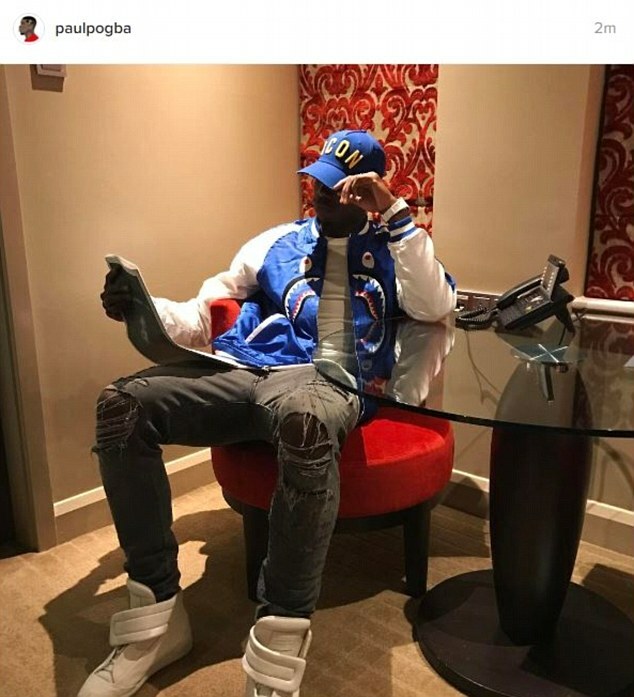 Pogba wore a distressed Dsquared2 blue baseball cap with matching Bape bomber jacket and ripped jeans ahead of an important date with Canadian rapper Drake at the O2 Arena. 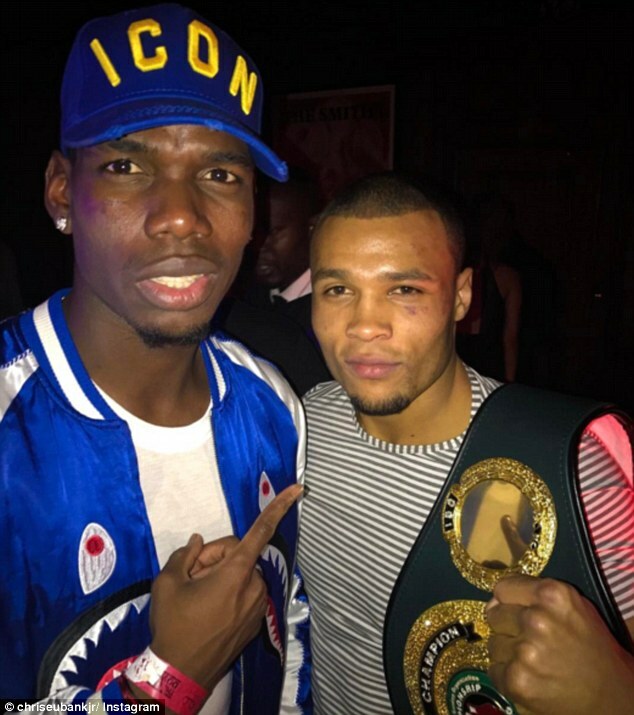 The midfielder has grown into his £89million price tag and role as United’s midfield enforcer this season, and having helped Jose Mourinho’s side to an important 3-0 victory over Leicester last weekend, he allowed himself a trip to London to take in one of his other passions. 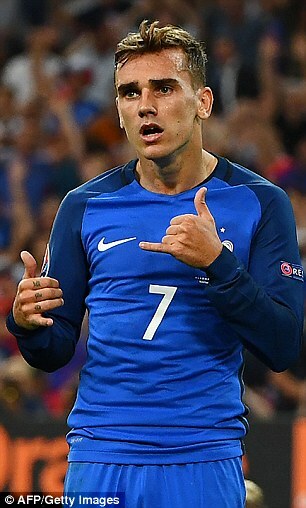 If there is one thing we have learned about Pogba since his move from Juventus last summer, it is that he likes to conduct himself with as much swagger off the field as he has on it. Photographing his visit to London was merely in keeping with the other times he has reached out to his fans on social media, as the highly chic playmaker showed off his new robes to his army of followers. 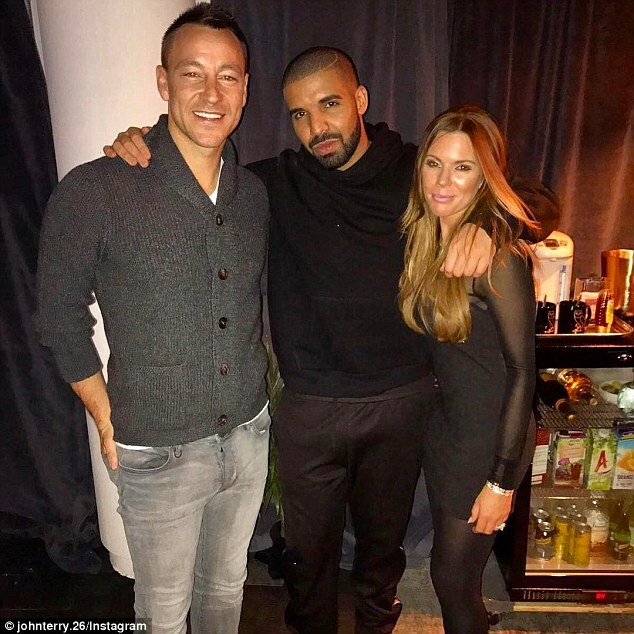 The France international joined John Terry in showing his appreciation for Drake during his ‘Boy Meets World’ tour around the United Kingdom, taking a prime seat at the Greenwich venue before bumping into Chris Eubank Jnr in the VIP area. 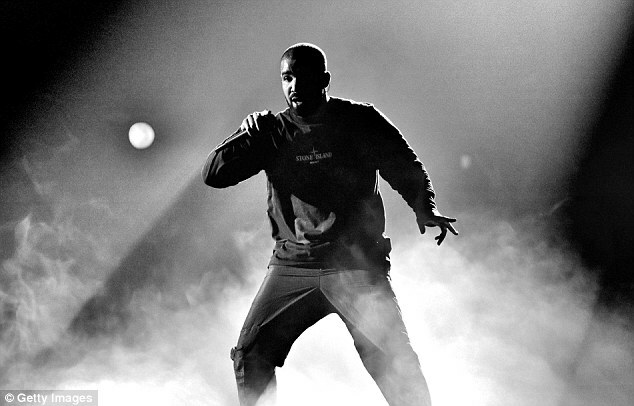 Pogba may be joined by another fan of Drake next season, with United target Antoine Griezmann known for his ‘Hotline Bling-style’ celebration at Atletico Madrid, and the compatriots will have plenty to catch up on during the next international break. 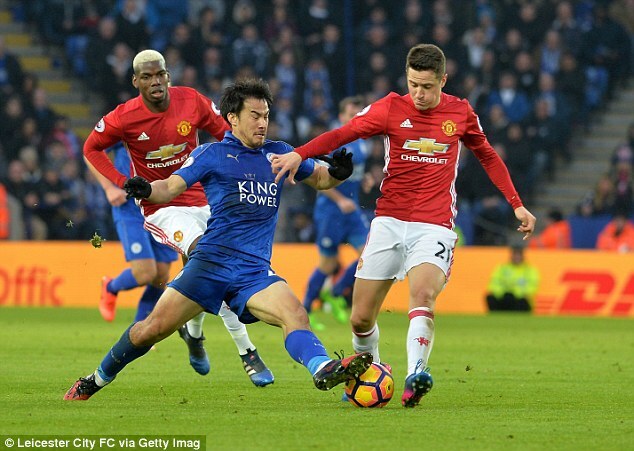 Meanwhile, Pogba’s midfield partner Ander Herrera has revealed he takes inspiration from watching Sergio Busquets, admitting he looks at ways of improving his own game through footage of the Barcelona player. Speaking to the club’s official website, he said: ‘I like to watch other players in my position. I used to like Paul Scholes but, in Spain, there was also Xabi Alonso and Xavi Hernandez.